We have been given various new accountabilities which have been newly introduced be it DPT-3, ACTIVE, MSME-1, BEN-1, DIR-3 KYC, NFRA-1 and maintaining MBP-1. And who knows MCA may be preparing for another set of new compliances. 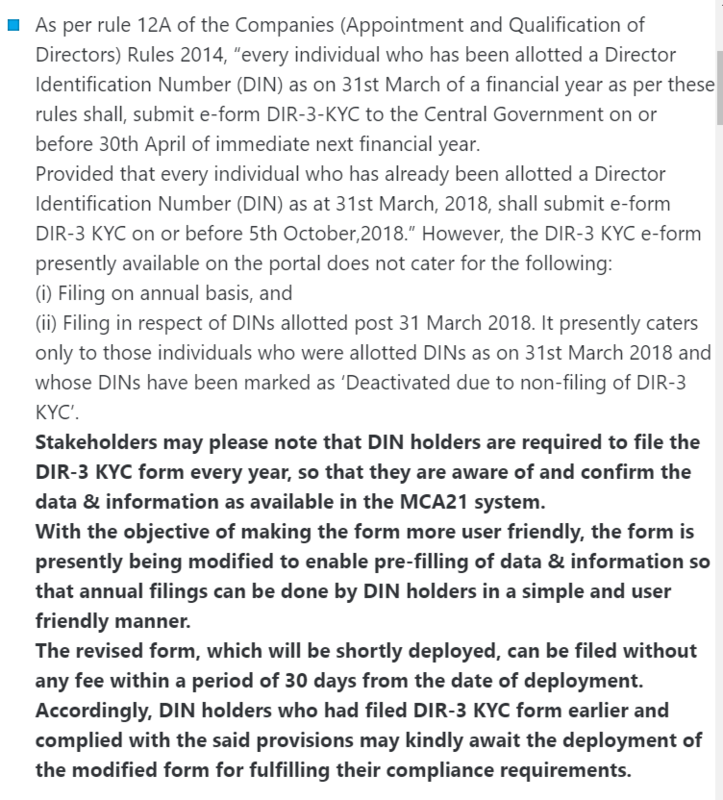 Φ Whether Directors (with respect to Companies) and Designated Partners (with respect to LLPs) have to file their respective DIR-3 KYC for the year ending March 31, 2019 for those who had filed their DIR-3 KYC on or before October 5, 2018 for the DINs/DPINs which were obtained on or before March 31, 2018? Φ If a person who is Director/Designated Partner having ACTIVE DIN/DPIN filed their DIR-3 KYC last year for the first time, do they have to file their KYC in the year 2019 by April 30 or in the year 2020 by April 30? Φ Question comes that what about those Directors/Designated Partners who got their DIN/DPIN from April 1, 2018, to March 31, 2019? Do they have to file their DIR-3 KYC by April 30, 2019? After expiry of the respective due dates, the system will mark all non-compliant DINs against which DIR-3 KYC form has not been filed as ‘Deactivated due to non-filing of DIR-3 KYC’. Even after the MCA DIR-3 KYC FAQs, Confusion did not go away. Different Professionals have their different Opinion and interpreting FAQs in a different way. 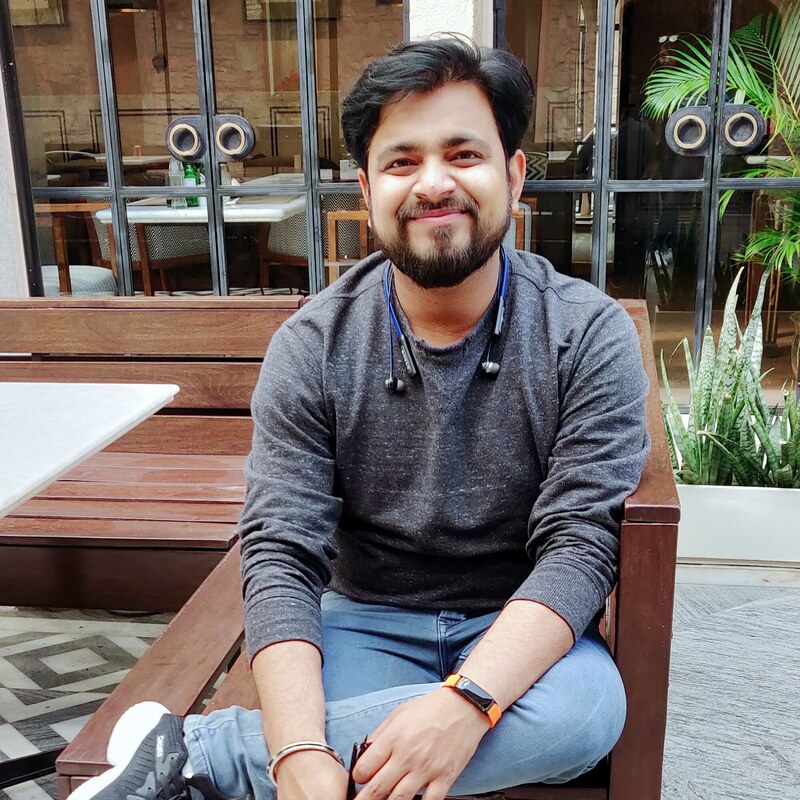 In fact, many professionals tried to fill DIR-3 KYC and then it gave us the pop-up that DIR-3 KYC is already filed for the said Director/Designated Partner which led to the crux/conclusion that for all those persons whose DIR-3 KYC was filed last year in 2018 do not have to file it again and they will be required to file the same by April 30, 2020. ¤ DIR-3 KYC has to be filed every year. ¤ The ones which were filed, it was for the year ending March 31, 2018. ¤ DIR-3 KYC has to be filed for the year ending March 31, 2019. ¤ DIR-3 KYC eForm will be modified to enable filing for the year ending March 31, 2019. ¤ DIR-3 KYC has to be filed within 30 Days from the Deployment of the said eForm. ¤ DINs obtained on or after April 1, 2019 will file their first KYC on or before April 30, 2020. Therefore, it becomes clear that every person who filed their DIR-3 KYC last year in 2018 for the year ending March 31, 2018, as well as those who obtained DIN/DPIN on or before March 31, 2019, have to file their DIR-3 KYC this year also in 2019. One Question which has left me still in doubt from MCA FAQs on DIR-3 KYC and I am leaving it for you to give it little consideration and come up with answers what you think about it and comment/email to me for my knowledge. For FY 2018-19: It is using the word Every Person. For FY 2019-20 onwards: It is using the word Every Director. 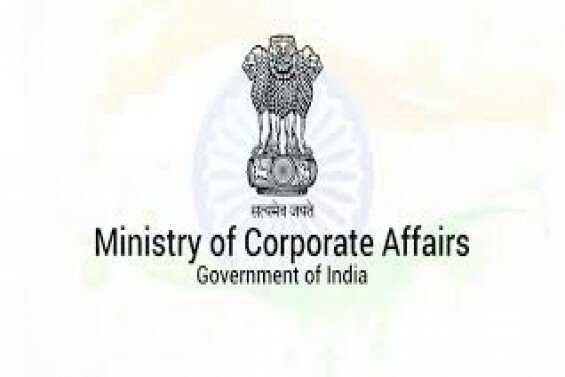 Does it mean that if a person is not associated with any company from the FY 2019-20, they are not required to file DIR-3 KYC Every Year? Please refer to Rule 12A, it says every individual so there stands confusion between FAQs and Rules. Reach me at Gaurav@ccoffice.in if you have any inputs on this. 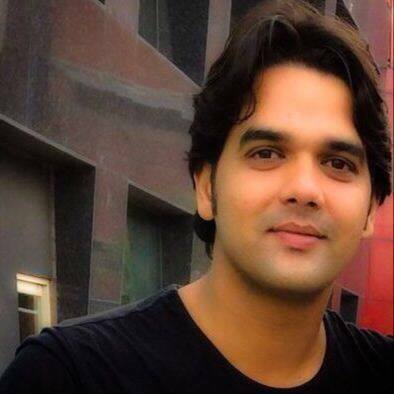 Gaurav Kumar is Law Graduate, Masters in Commerce and An Associate Member of ICSI. Member of the Corporate Affairs Committee of PHD Chamber of Commerce & Industry (PHDCCI).